I visited the set of PERSON OF INTEREST last October, before the show’s fate was officially confirmed and either actor knew how the series would end, and asked whether they wanted their character to survive. We’ve killed off so many people. I don’t know — what’s a good end for Mr. Finch? I never really think about him ending. He would be the last one, I think. But if he went out, he would do it as a sacrifice for another human, I’m sure. Maybe there’s some sort of transformation in store for some of the characters. Something meta, cyber. I don’t know. Maybe there’s a way to be absorbed into the Machine somehow. We’ve never been out that far. And that would be a lot for a show that started out as a crime of the week, procedural. That would be a little cuckoo. But [executive producers] Jonah [Nolan] and Greg [Plageman] say they know the last scene and the last image. Who knows what it is? It’s better if it’s a surprise. The laws of averages. It’s the laws of averages. Really, Jonah wrote right [the warning] from the beginning for Finch. The point being, everybody dies, but not everybody really lives, to quote BRAVEHEART. But that’s the truth. This is the first time he’s really had the chance to live, and he at least gets to go up against a formidable foe in Samaritan. He’s very intelligent; he doesn’t play regular chess — that’s what Finch does. I play speed chess. Go fast, hit the clock, attack. He’s always attacking, always on the offensive. And soon enough, you’ll think eventually you go down, but at least you’re fighting. You can say I fought the fight. Teddy Roosevelt: the guys in the ring, the warriors and gladiators in the ring, that other people might criticize and do, but he was all action. I have no idea where they’re going to go with this story. Jonah, he’s Fort Knox. I never have. I never knew what it was. But I think they’ve assembled the best and the worst in all of us. The writers have been able to use parts of the lines that go through us. 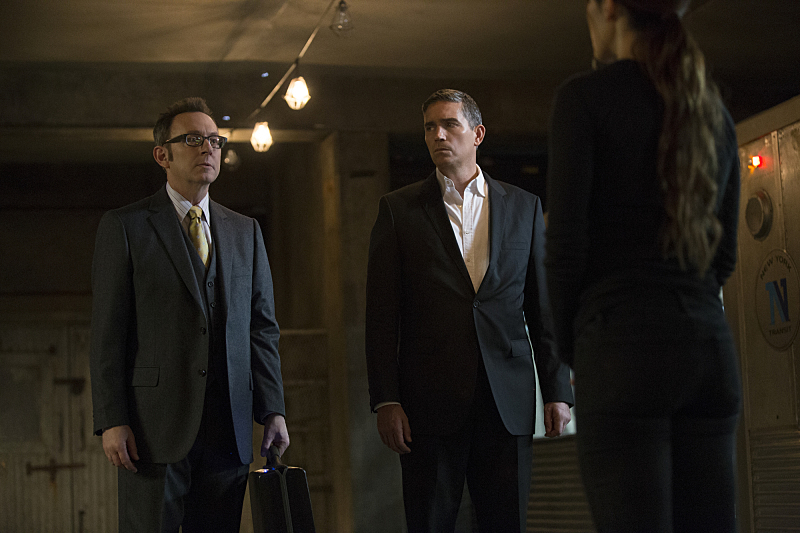 PERSON OF INTEREST’s series finale airs tonight at 10 PM on CBS.